TIP: I love this hotel as it offers amazing value. It is the oldest standing hotel in the city and once you sit for a coffee in their garden you will never want to leave! 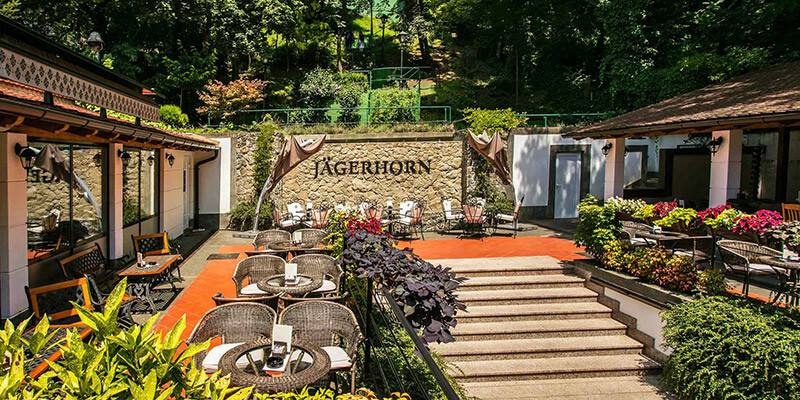 Hotel Jägerhorn Zagreb truly is an intimate oasis in the heart of the city. They have impeccable service and simply offer a great place to relax and spend your time. It is a small boutique hotel with elegant 18 rooms, completely refurbished in 2015, with free Wi-Fi and all the in-room amenities you need. Snuggled in a passage connecting the historic upper town with the city centre it is an ideal choice for travellers seeking an intimate and authentic Zagreb experience. Hotel Jägerhorn Zagreb is recommended for Couples and Families. As I said, I love this hotel. It is located in a passageway offering an intimate and secure atmosphere for both Couples and Families. Café Jägerhorn is an attraction on its own. This stylish cafe is a tranquil oasis which offers a selection of the finest beverages, excellent service and the most beautiful city terrace. Rich Buffet Breakfast is served in the hotel restaurant from 6:30 AM till 10 AM. 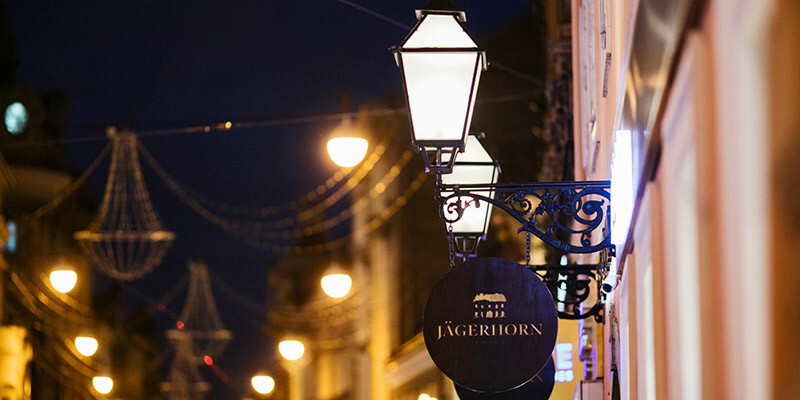 What is close by to Hotel Jägerhorn Zagreb? Everything, you are next to Zagreb ban Jelačić Square and in the heart of Zagreb with easy access to most Zagreb Attractions. In each direction, you have one of Zagreb’s top attractions. If you wish to go a bit further you just hop on a tram and you are there within 15 minutes. As the hotel is located in the pedestrian zone, the Free Hotel Parking is nearby, just 300 m from the hotel. Parking is in Varšavska street no. 20 but please call in ahead because the reception will provide you with the security access code.